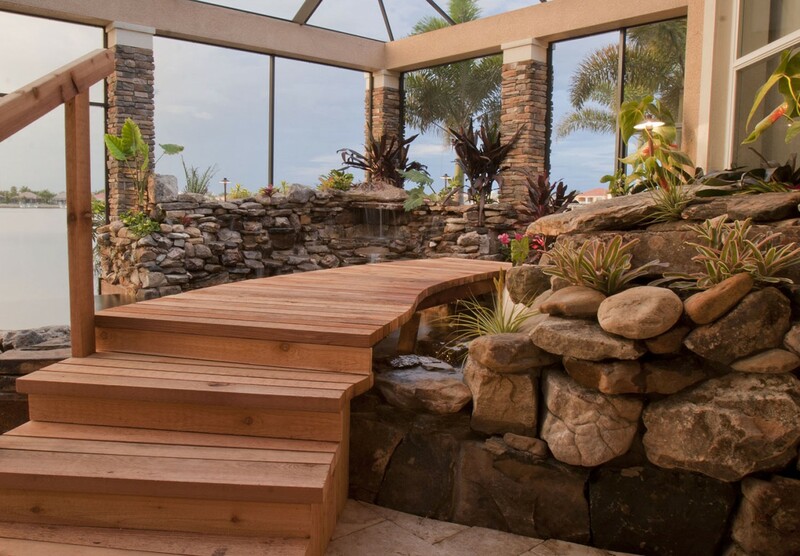 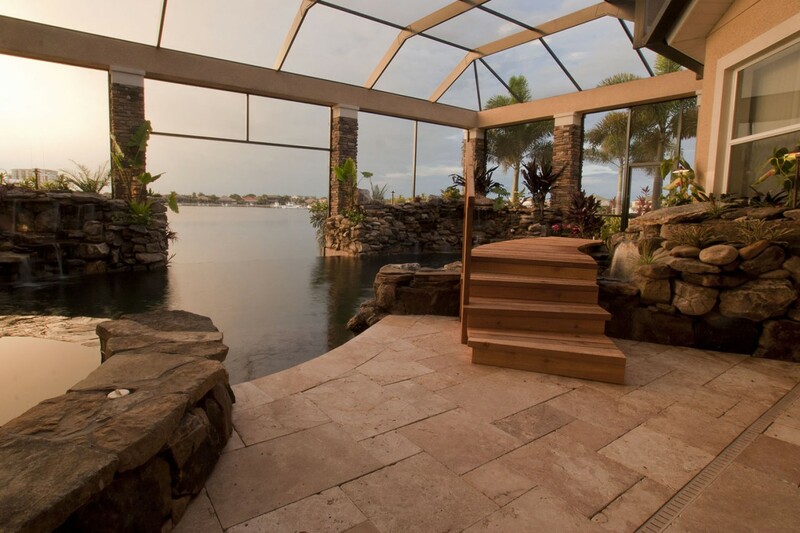 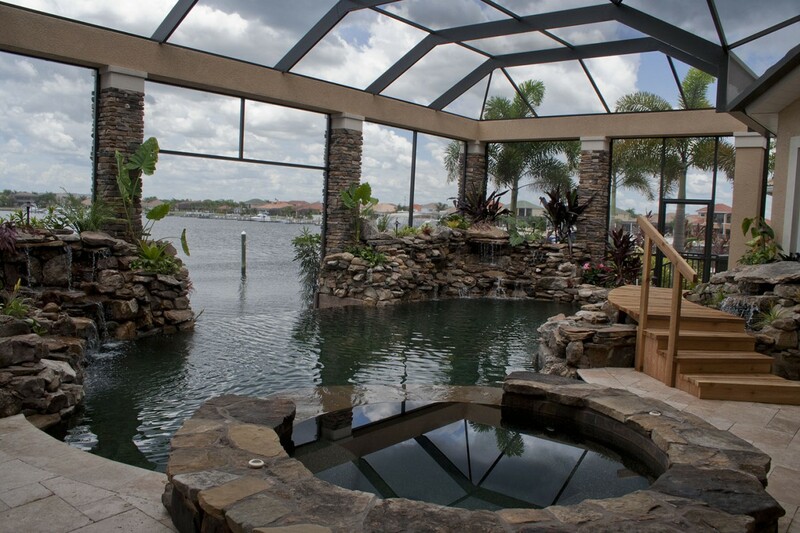 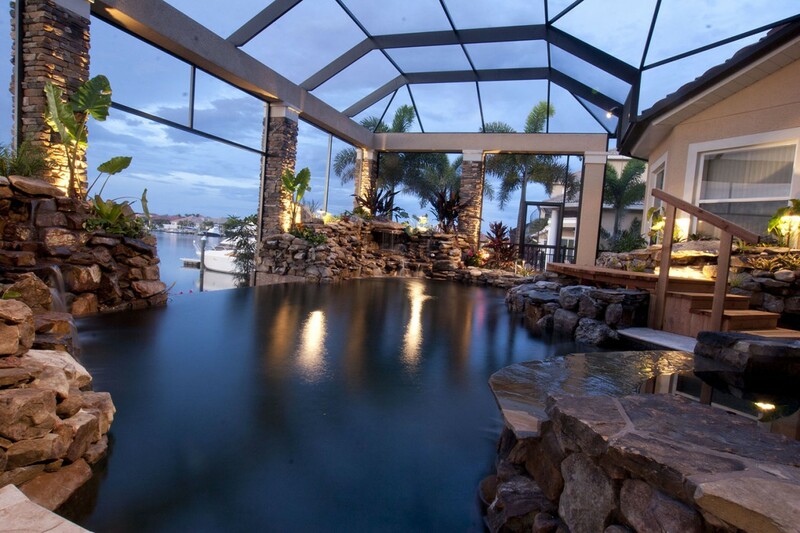 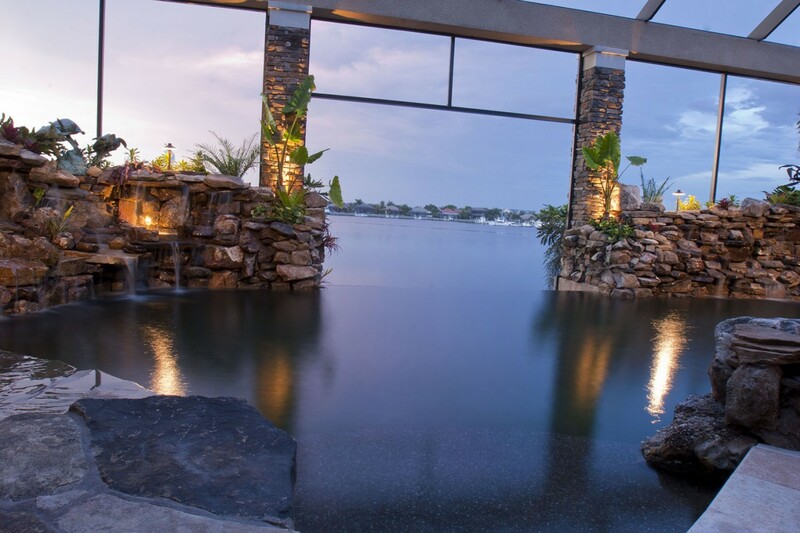 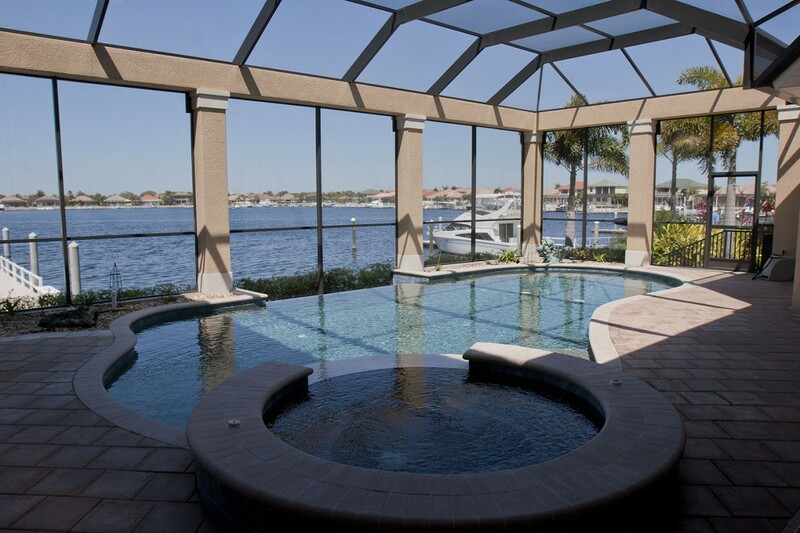 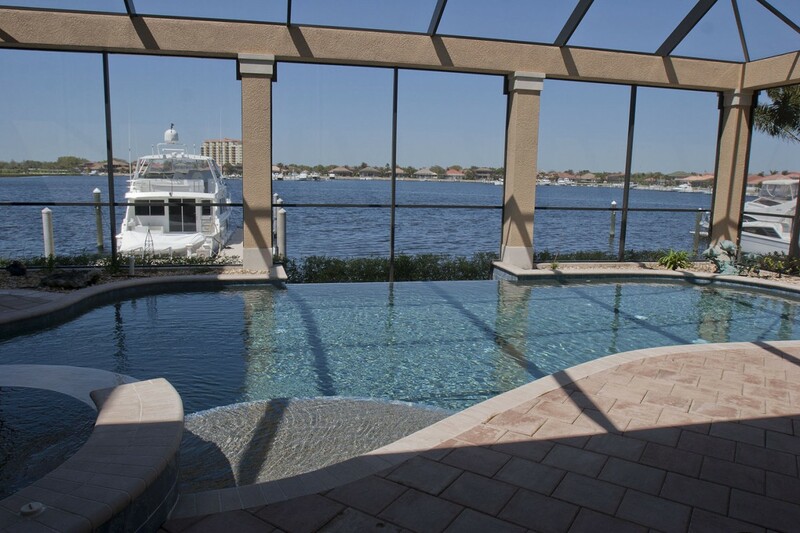 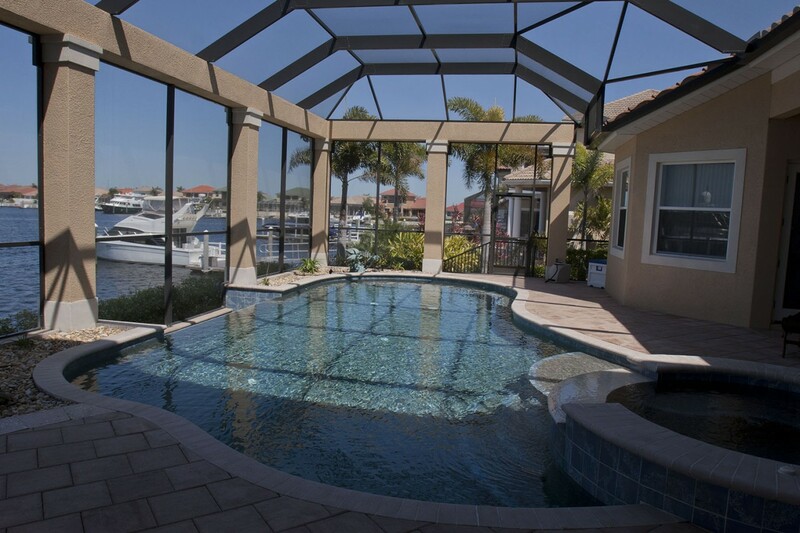 A proper infinity edge lagoon pool remodel that blends a beautiful outdoor living space with the natural ocean views. 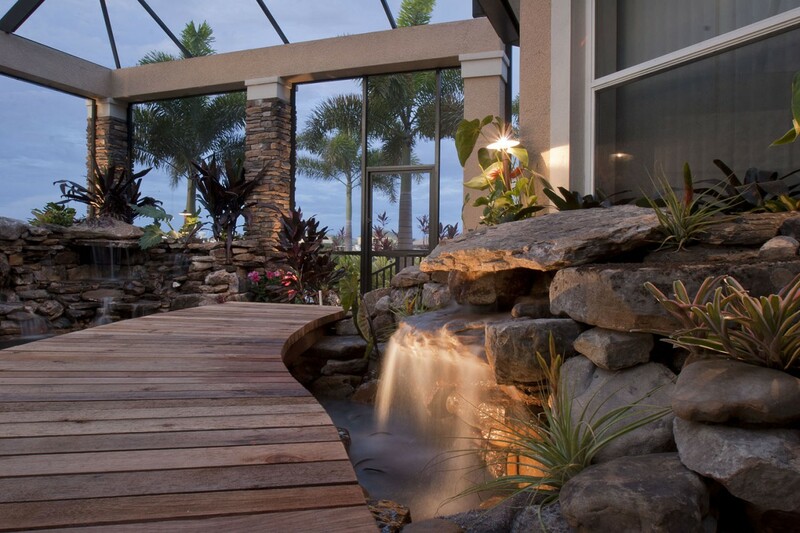 Surrounded by two large stone waterfalls with multiple water features and a stone waterfall that flows down a stream under a wooden bridge into the pool. 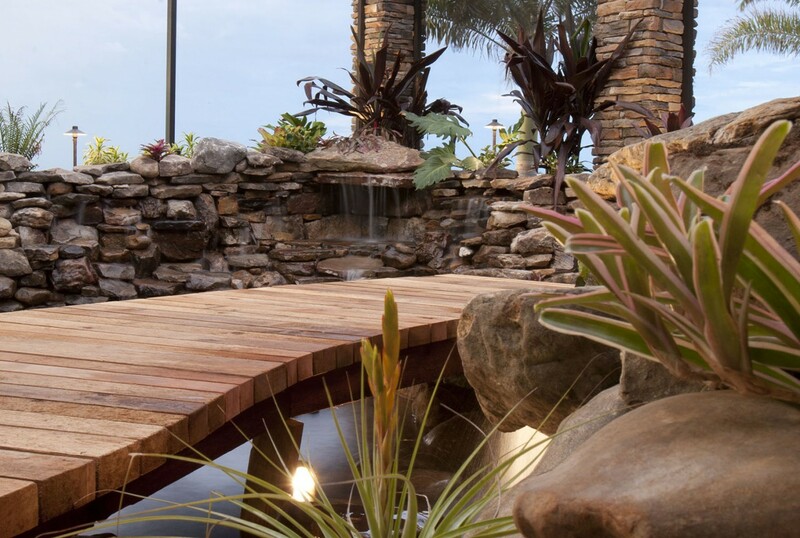 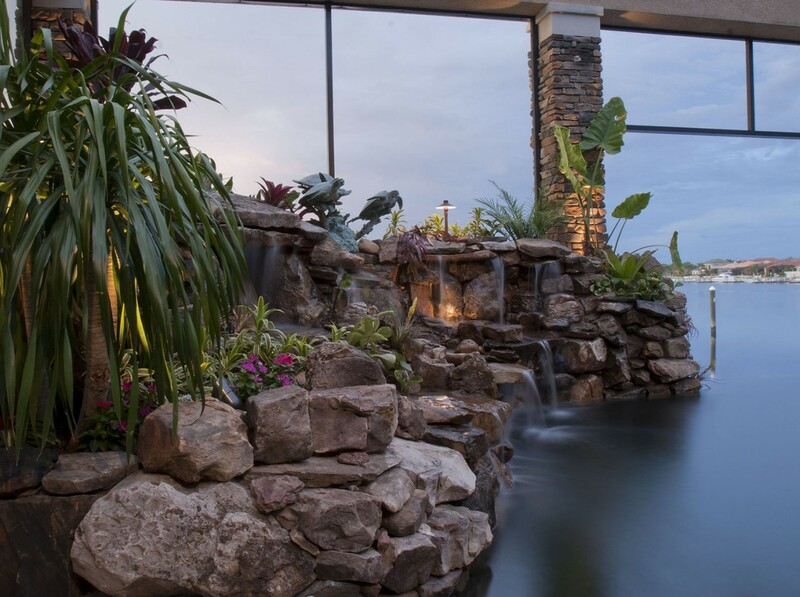 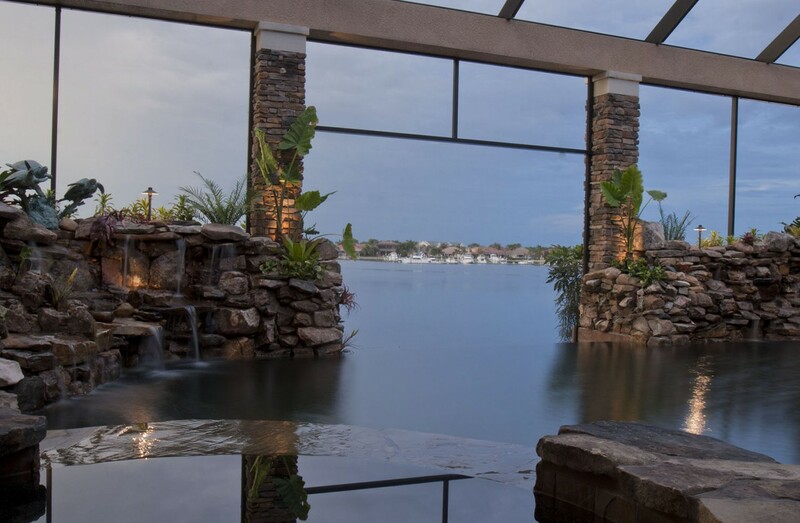 Infinity edge design for swimming pools or water features are also known as negative edge pools, vanishing edge pools or disappearing edge pools.